What Is The Best Way To Optimize Webpage URLs? Website URL structure is an important part of SEO that is underestimated by many. Beyond putting keywords into the URL, many don't give it second thought. And yet, it is one of the simplest and most important things to optimize, and plays an important part in search results. Today, we will discuss some URL optimization techniques to improve your websites' rankings. When talking about URL structures, a few things come to mind, namely the URL length, keywords, sub-directories, special characters, and the effect of each of them on direct traffic as well as search visibility. Let's start with the simplest of them all. 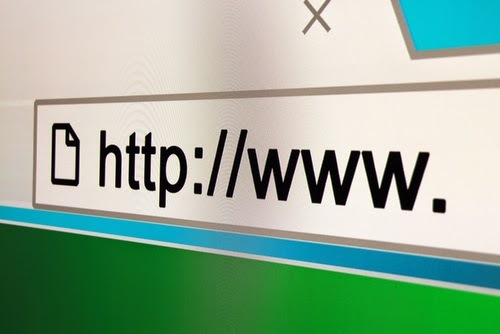 The URL length isn't a game changer in search rankings, but it still is an important factor. Not to say that long URLs don't rank well - they can because it ultimately boils down to the content. But on average, the dominating search results mostly average between 35-40 characters. Not only that, the URL length is a major contributor when it comes to direct traffic - i.e. people who come over by typing the URL into their browsers. The shorter the URL, the easier it is to remember. URLs often contain many sub-directories/sub-folders. This very page you are on contains two. 2015/ and 05/. As far as hierarchies go, it is OK to have as few as you want, or as many as you can manage. There is no co-relation between the number of sub-directories and search rankings. However, there are a few things to keep in mind. Generally, from the user-friendliness aspect, it is considered as a good practice to keep it simple. It accounts for more direct traffic. Also, it is advisable to keep numbers out of URLs, and generally go with easy to read words. For blog posts, you can either use a dated structure such as site.com/2015/05/article.html, or category structure such as site.com/how-to/article.html. Personally, I prefer the latter, but you can go either way. Also, make sure that the images you upload are named properly, so that when opened, their URL is readable and looks decent. Having a keyword within your domain name and URL is a declining factor in rankings. It is becoming less important over time since Google is placing more emphasis on other search factors. When you create URLs within your site, don’t worry about making them keyword rich. It doesn’t hurt to add keywords if it makes sense, but you shouldn't stuff your URLs with keywords, or they will seem unnatural. Sometimes you see strange characters in URLs such as &, %, $, and @. It is more difficult for search engines to crawl websites if their URLs contain a lot of these special characters. Consider the fact that Google has gone on record to state that you should be using dashes over underscores because it affects how their search engine reads the keywords in your URL. This is how seriously you should take these special characters. According to an estimate by Neil Patel, only about 0.2% of high ranking URLs have special characters in them. If you are using images, don't let spaces come in when you name them. "autumn-sunset" is better than "autumn sunset" because the space gets replaced by special characters. Long story short, optimizing your URLs can't hurt your rankings. However, don't focus too much of your marketing efforts on your URL structure because it doesn’t impact rankings as much as backlinks or content quality. It is just there to give you a small edge, so might as well avail it when you can. Thank you for your wonderful tips. Thank you for sharing such a nice tips on URL structure. Thanks for sharing wonderful piece of content. I read the whole article and i must say that you completely justice with this post. Thanks a lot for sharing this wonderful and equally a lucrative post. Don't Think that, i am here to give you any suggestion like others. But i need some help for my website (www.tangaildarpan.com) that it takes too long time to load on low speed internet connection. But my blog templates is responsively designed. I use image and article to post any post on my site. Can you please show me any way to make my blog much lighter to load shortly times. Well, there are number's of ways to to optimize the url structure, but sometimes it's not possible to follow it all the way in single url.